It's been awhile since I've shopped at Club Monaco and since viewing their current look book, I definitely will have to start again. I'm really impressed with all the beautifully wearable and streamlined options as well as the clean classic aesthetic the brand has always been known for. I actually wouldn't mind wearing some of these looks exactly as they're styled and I think I may be adding a pair of culottes to my wish list now. 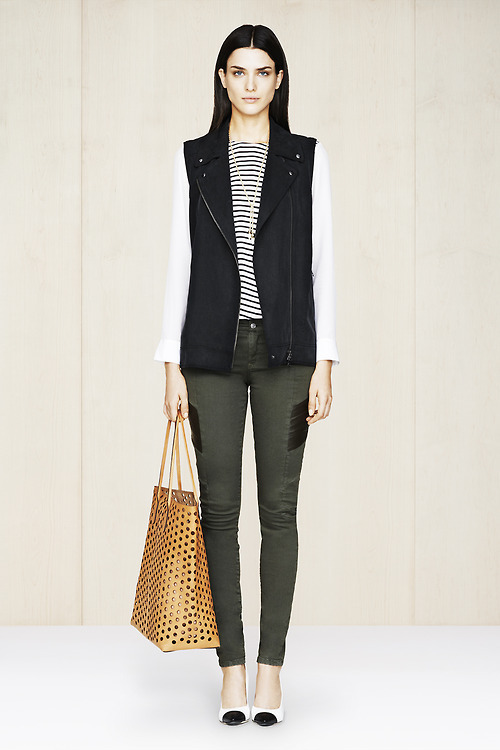 Are you a fan of Club Monaco? Do any of these looks catch your eye? There's still time to enter the giveaway for a Smile Brilliant Teeth Whitening System. That first jacket is so gorg... in a burgundy wine color it would be amazing for winter!! I kinda like the simplicity of this brand. We used to have it here but not anymore.... Too bad.. Awesome design elegant and simple I like it. I haven't been to Club Monaco in like, forever, and I think I've been missing out. I'm liking the pieces, especially the shoes....drooooool. I love these minimal looks - thanks for sharing! This collection is ultimate sophistication, perfect for office wear, I wish we had this brand here in SA.Thanks for your visit, hope your week is going well. I adore the simplicity of their design but never own anything from them. Looks like great quality too. I've been eyeing their clothes and accessories Rowena. I love their simplicity. So classic. So chic. What absolutely stunning looks. I would love to wear these! Will I ever wear heels again? lol. My closet is so black and white-which I love. There are some great ways to bring in color in a "safe" way here. Lovely! I've never bought anything from there but I do like some of there stuff. 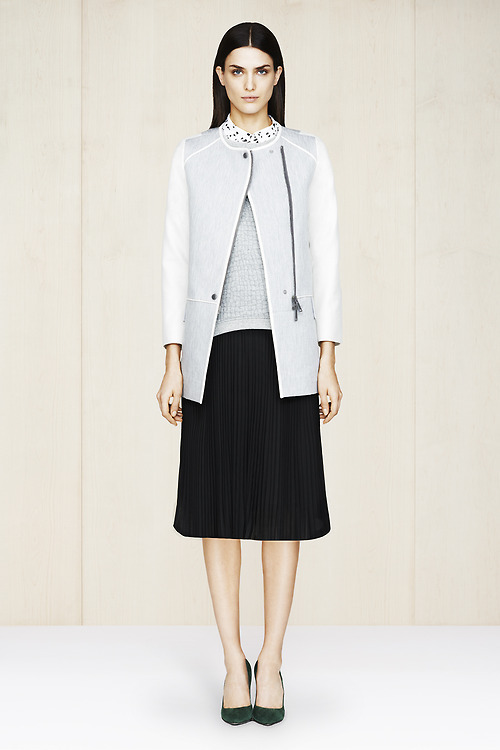 I'm loving the black-and-white jacket in this collection! I love the simplicity of these outfits. Thanks for sharing doll. chic and feminine! perfect looks! I love ths brand, the lookbook is amazing!!!!! i'm with you! i haven't shopped at club monaco in a long time. i think the last time was a polka dotted dress! wow. that was a while ago... this look book looks fabulous. I like the classic stylish looks of Club Monaco. I particularly like the little boots and bag in the first photo which are perfect for this time if year. I feel Club Monaco has regained their momentum. There was a period where I felt like a lot of my clothes were coming from there and then I felt like I was less inspired so I stopped shopping there. But, their past few collections have me re-inspired. And I love this!! Very nice looks. I like the collection. I love the looks. It's been forever since ive been to club monaco, i need to stop in next time im nearby. thank you for sharing these great looks! I don't know anything about this brand so it's great to hear about it. The jacket is really amazing. 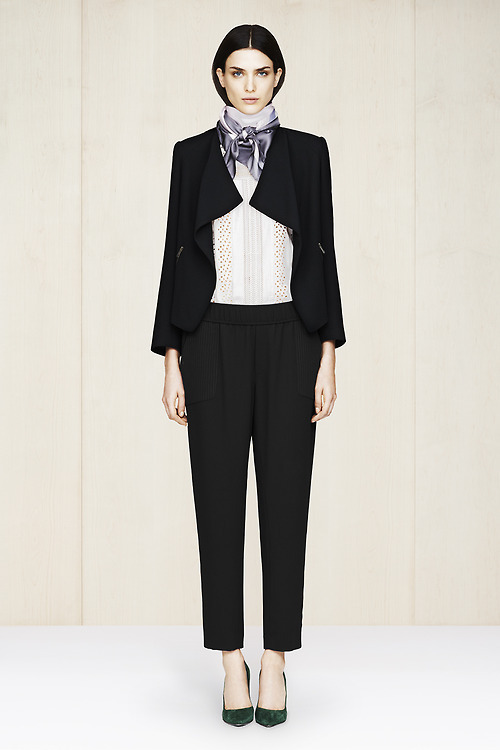 Club Monaco has one of the best classic chic items! Sophisticated Glam! Love this! Have a good week. I love minimalistic fashion. Probably because I don't think heavy prints work on me, but I just love it when monochrome and block colouring is on trend. Yoo Jae Suk is such a talented guy! I didn't understand the massive crushing on him at first, but I think I kind of get it now. He brings the show to life with comedy and his natural personality without dissing on other people. I think that is such a talent. Is there a version of Running Man with English subtitles, then? I would love to show it to some of my friends but the language was a barrier. It would be interesting to see what they think. 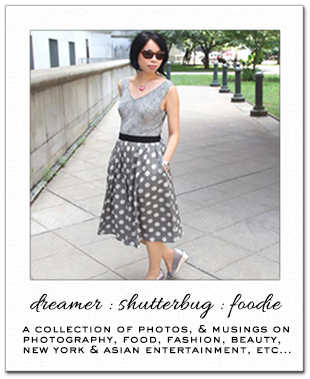 greatttt collection, great post Rowena! A classy and modern mix, love the black skirt and white one. The green shoes are incredibly beautiful! I don't know the last time I even went into Club Monaco but this collection is really lovely so I will have to check them out again! I just adore the jackets! Really awesome pieces! I love ALL their stuff... Every season they outdo themselves! This a beautiful collection. I love the white skirt. That last outfit is so cute!! 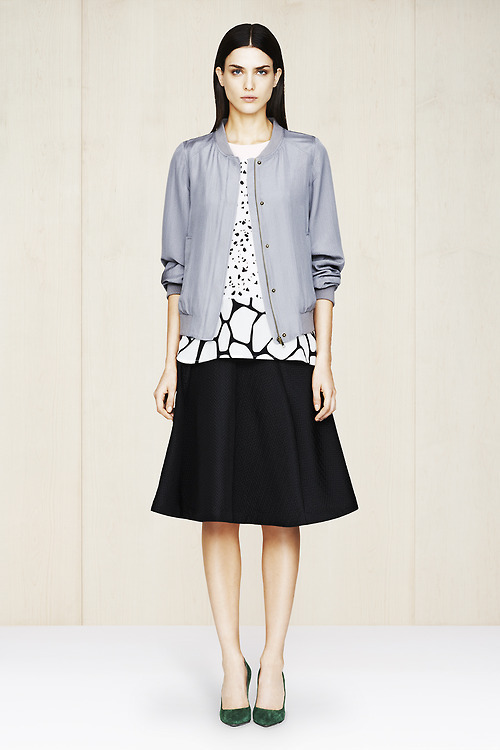 Club monaco has some really simple yet glam/chic outfits! I would get them all if I could afford them haha! Beautiful pics Rowena. 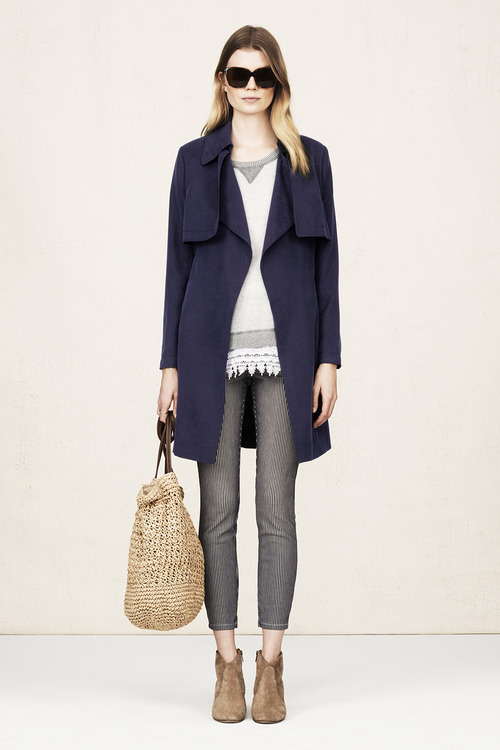 I've got several items from Club Monaco and always like them:) The price point is great too! This is a great collection! It is so wearable and comfortable, which is my thing! Love the black and white top paired with the vest especially. Thank you so much for your very kind thoughts on my post today dear. I hope you have a great weekend! I like the clothes but have never purchased anything there. They have great widow displays too. Have a great weekend! I would absolutely wear outfit 1 & 2 exactly as it is style, I love how effortless and clean everything looks. Super chic!